Ayyoubé is the biography of a Palestinian woman, born in 1948 in the first refugee camp in Lebanon. In addition to the difficulties she faces as a Palestinian refugee, her abusive husband, Jaber, makes her life a living hell and divorces her. Despite all that, Ayyoubé decides to stay in his house to raise her children, breaking the norms of a divorcée. Ayyoubé is a success humane story of a woman who was able to see the light after 45 years of suffering. 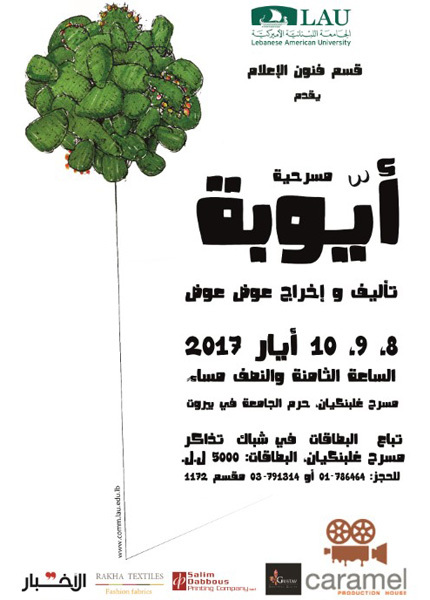 Three women portraying her at different stages of her life will perform the role of Ayyoubé, showcasing the Palestinian and Lebanese cultures over the period of 60 years.